Sept. 22, 2016 – San Diego, CA — Members of Essure Problems, Device Events, attorneys and breast implant illness activists met with representatives of the U.S. Food and Drug Administration (FDA) last week, including several FDA office directors. The face-to-face was part of a two-day blitz of meetings with Congress men and women and other political groups to drum up support for and awareness of issues affecting Essure users. At the FDA meeting, discussion topics included the future of a black box warning label on the Essure device, the review of Essure’s clinical pre-market trials and the upcoming post-market clinical studies. On Feb. 29, 2016, the FDA concluded an investigation into the 2002-2007 Essure Phase II and Pivotal trials completed by Bayer Healthcare. The FDA wrote in its final report that the investigation was conducted to assess allegations that study investigators and/or Essure’s manufacturer may have manipulated key trial data in the original case report forms (CRF). However, their conclusion was that less than 1 percent of CRF data items pertaining to key outcome measures were modified during the conduct of the clinical trials and that there was no pattern observed of CRF modifications favoring the device. At the meeting with the FDA representatives, the Essure advocacy group obtained more information regarding this investigation. A team of 13 FDA employees, headed by Deputy Director for Clinical Affairs and Chief Medical Officer Ron Yustein, completed the re-evaluation. The evaluators poured through both original documents and digital records. The advocates questioned why the FDA did not look into alleged changes to patients’ birth dates on those documents. Another question raised by the Essure advocates was if the required post-market surveillance for the Essure device could be a retrospective study looking at existing data. The post-market surveillance is currently pending and will be completed by Bayer, as required by the FDA after an advisory committee meeting with the Obestetrics and Gynecology Device Panel on Sept. 24, 2015. 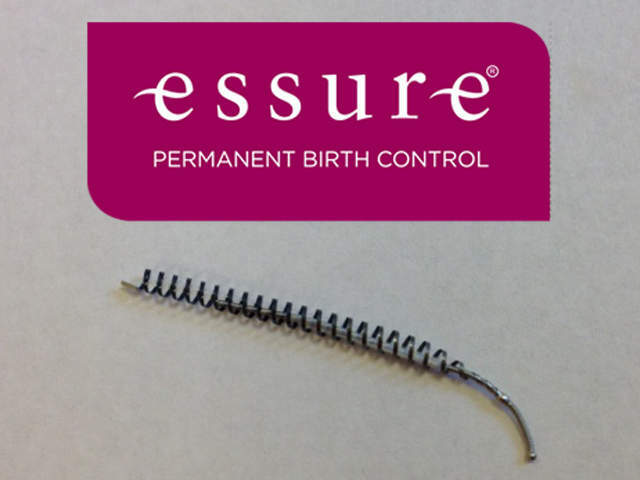 Bayer’s proposed 522 study will follow two groups of 1,400 women between the ages of 21 and 45 who chose to either have Essure implanted or undergo traditional tubal ligation. The main goals of the study are to analyze the safety of Bayer’s sterilization device and its effectiveness in preventing pregnancy.